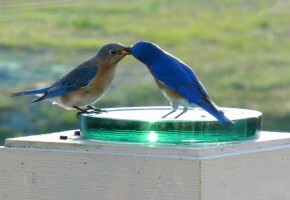 This year’s pair is starting to build a nest in our bluebird house. We have named them Billie and Nelson, after friends of ours. 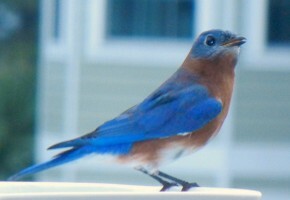 We have fed them all winter Hope we have some little bluebirds late in April.